Is It Safe To Use Plug Adapters? 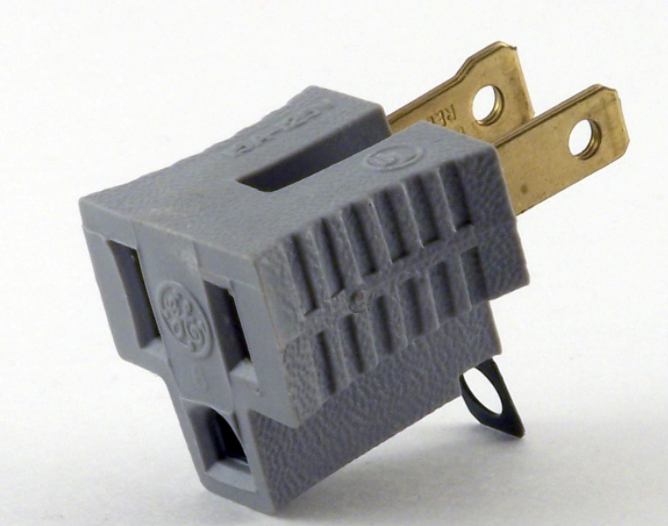 A ground plug adapter, sometimes called a pigtail adapter, is a small device that allows you to plug a three prong plug with a grounding connection into a two prong outlet that does not have a dedicated grounding wire. Most people who live in older homes are probably very familiar with these adapters due to the fact that so many devices require a three prong outlet. While using a ground plug adapter is a common practice, it is not safe for your home or your electronics. Older electrical outlets only have two slots, the narrow “hot” slot and the wide “neutral” slot. A three slot receptacle also has a round “ground” slot for safety. If something goes wrong with the outlet, cord, or appliance, the ground is a pathway for the electricity to go back to the breaker box. Without the ground, the electricity will look for the easiest path, which is sometimes through your body. Using a ground plug adapter for a three prong cord and a two slot outlet with older electrical systems that do not have a dedicated grounding wire will lead to potential shock. A true grounding system is the safest way to go, and is required by code in all new construction. Sure, a plug adapter can be purchased at just about any store for very little money, and requires very little effort to use, allowing you to use electrical devices in places you normally wouldn’t be able to. However, they do not provide any type of safety. Devices have a third prong to help protect against surges, malfunctions, and even fire. Using an adapter removes that functionality, making them vulnerable to potential damage. A ground plug adapter does not function the same as a grounded circuit. Most people assume that they are safe because they are sold in stores. If an electrical surge does occur while using one of these adapters, it can result in electrocution or an electrical fire. If you only have two prong outlets in your home, the safest option is to replace them. They are unsafe and unable to handle the demand of today’s electronic devices. Updating all of your outlets to three prongs will ensure your system is grounded and safe from potential issues. An even safer choice is to install ground fault circuit interrupt outlets (GFCI’s), especially near sources of water like in the kitchen and bathroom. These outlets will shut off the electrical device if it detects abnormal spikes in electricity.